This soft sided cooler accommodates 24 cans of your favorite beverages, perfect for picnics, family outings or tailgating. 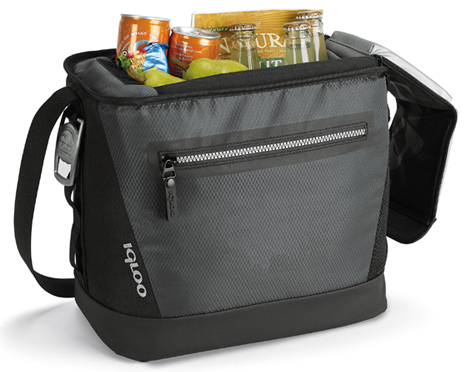 To pack the cooler just unzip by using the aluminum pull handle, there's a dual zippered opening with folding lid and Velcro closure. The interior is designed with an enhanced insulation and antimicrobial liner. 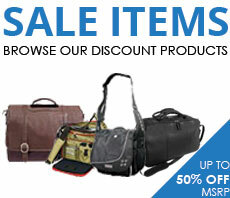 On the front is zippered pocket for holding your smartphone, keys or other essentials. 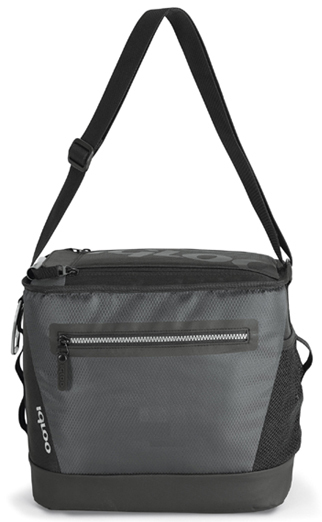 The side has a mesh water bottle pocket and storage loops. 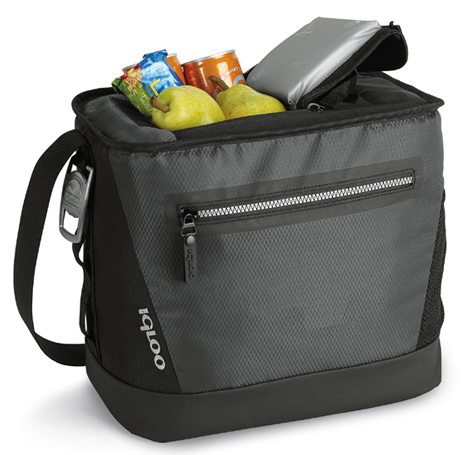 The cooler includes a metal Igloo bottle opener which is attached to the bag so you never leave home without it. 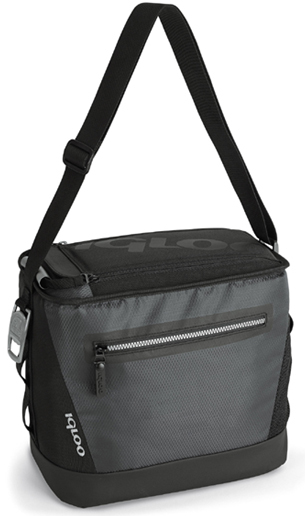 It's complete with an adjustable shoulder strap for easily transporting from one outdoor event to the next. This rugged piece is manufactured from 420D diamond weave / nalprene material.